“Is this Rebecca or Notorious?” a friend whispered at a certain point while watching Guillermo del Toro’s new ghost story Crimson Peak. It’s a little of both, plus Suspicion, Psycho, Shadow of a Doubt, and probably more of the Hitchcock canon. Del Toro paying homage to Hitchcock and adding his own supernatural twist—think Devil’s Backbone—ought to be a glorious thing, but instead despite a thoroughbred cast, gorgeous production design, and exquisite cinematography, the whole thing collapses under the weight of its own silliness. Fans hoping for a return to del Toro’s Pan’s Labyrinth form are in for a disappointment. 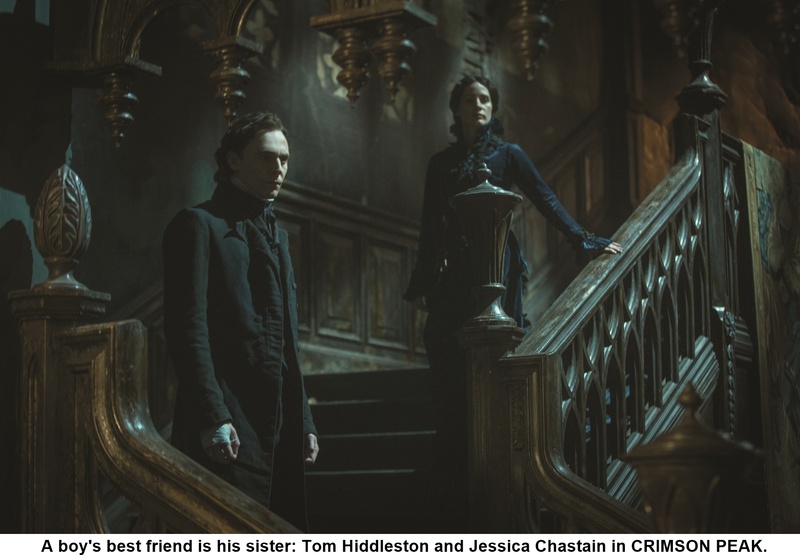 The trouble with Crimson Peak is that it is one of those films that is entirely dependent on otherwise smart characters turning suddenly stupid. 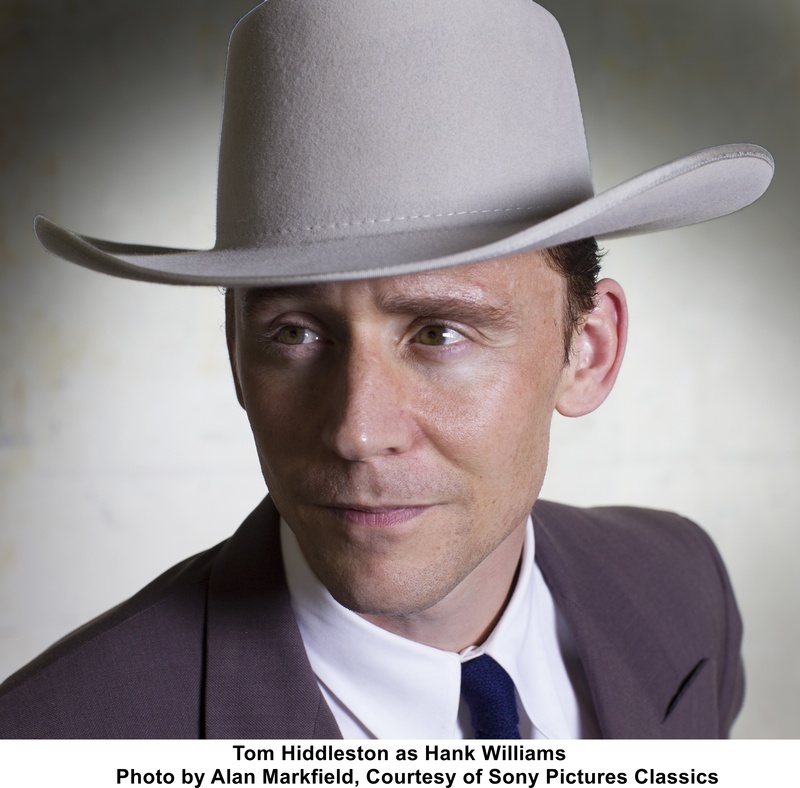 That Thomas Sharpe (Tom Hiddleston), a penniless baronet who comes to 1901 Buffalo, NY, ostensibly to raise funds for a new mining process to extract rich red clay from beneath his land, would turn Edith Cushing’s (Mia Wasikowska) head is understandable. He is handsome and charming and is the only person besides her industrialist father (Jim Beaver) and childhood friend, Dr. Alan McMichael (Charlie Hunnam), who takes her writing ambitions seriously. But besotted as she is, it’s hard to fathom why Edith finds nothing creepy about Thomas’ possessive sister Lucille (Jessica Chastain) or why—once the action moves to England—she would agree to stay in complete isolation in a crumbling house where she observes that it’s colder inside that it is outside. Evil doesn’t even have to be lurking. Edith is a literate woman. She’s surely read the Brontes and knows what happened to those women, and Allerdale Hall, the Sharpe family estate, has all the earmarks of a conduit to death by consumption. As it happens, something is amiss with the Sharpe siblings and their grandly decaying home, but even with ghosts crawling out of the walls and her growing suspicion that something is not right with Lucille, Edith stays put. She’s smarter than that and she’s a woman of means, so what gives?